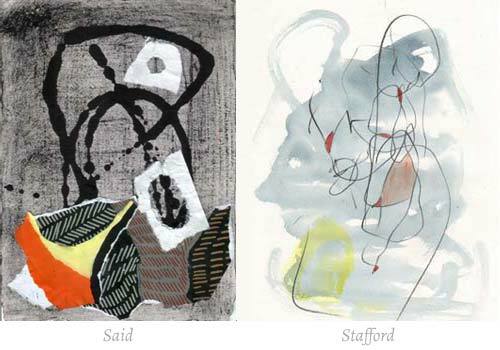 Liliana Stafford and Rita Said share a love for lines both seen and unseen. Their new exhibition LIFE LINES will take you with them on their journey. New works on paper, canvas and in wire will be on view. Come and share their world. As a writer I have a desire to communicate through words but words are not always enough. They are restricted by the language they are written or spoken in, the syntax and the spelling. Poets strive to write words that take us further and give weight to our emotions. I turn to art to say what words cannot and at first there is colour and shape and then there are lines. The lines are drawn on canvas, paper and in wire. They are ‘another kind of language’, a way to communicate deep emotions with no words. The lines I draw, paint and twist are a record of the unseen story forever present in our lives and the natural world.